The Printrbot Simple Metal Plus (a 10″x10″x10″) machine next to the eNABLE Raptor 3D printable prosthetic – both ready and on display at today’s UL and You3Dit corporate education 3D printing workshop. 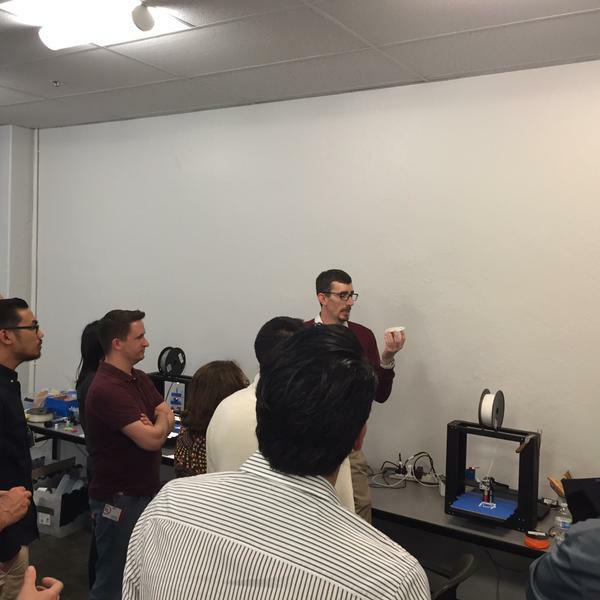 Today’s #3DPrinting workshop with Underwriters Laboratory (aka UL) will cover a broad span of the entire 3D printing industry followed by an up-close-and-personal exposure to Fused Filament Fabrication (FFF) style 3D printers. Of the 7 major #3DPrinting technologies, FFF (very similar to FDM or Fused Deposition Modeling) are the most common amongst consumer 3D printers. 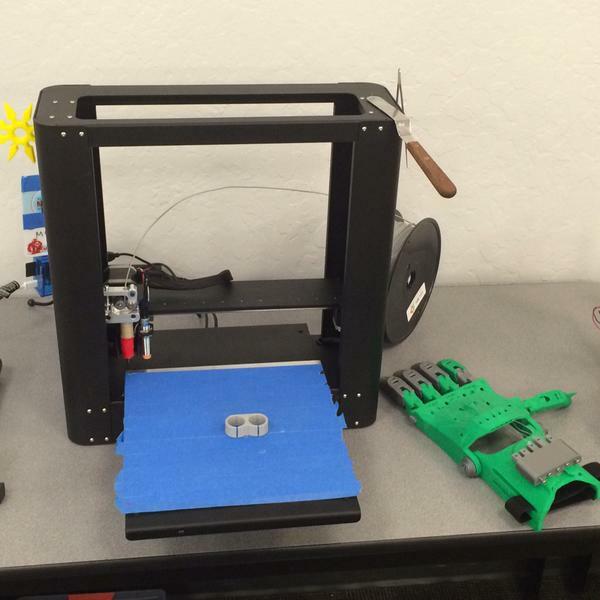 Students got up close and personal with 2x Printrbot Simple Metal Plus 3D printers. They saw sample parts–both successful and unsuccessful prints–and were then shown how these parts are fabricated one layer at a time. Photo credit goes to Melissa Albrecht at UL. We will have the smaller machines printing smaller 3D printed parts from the fun RaverRing Kickstarter project and on the larger machines, a more meaningful project known as eNABLE – where 3D printer owners sync up with an organization that matches them with people who need prosthetics–not just lending a hand, but actually giving a hand. We’ll show how these entry-level, yet powerful machines can literally transform people’s lives with the help of organizations like eNABLE who provide the design files free of charge and open source. A easily downloadable list of references to 3D printing and digital manufacturing are provided upon successful completion of the evaluation. Previous article	← Is that RaverRing White and Gold or Blue and Black?